The inside scoop on the tea with a twist. Bubble tea, or boba, is a Taiwanese drink that has taken the United States by storm. It can be found anywhere from kiosks at the mall, to stand alone restaurants. It is known for its extra thick straw and black tapioca balls (bubbles) at the bottom of the cup. Most importantly, bubble tea is known for being a build-your-own drink. You get to choose the flavor, whether the drink is hot or cold and often times the type of tapioca at the bottom of the cup. 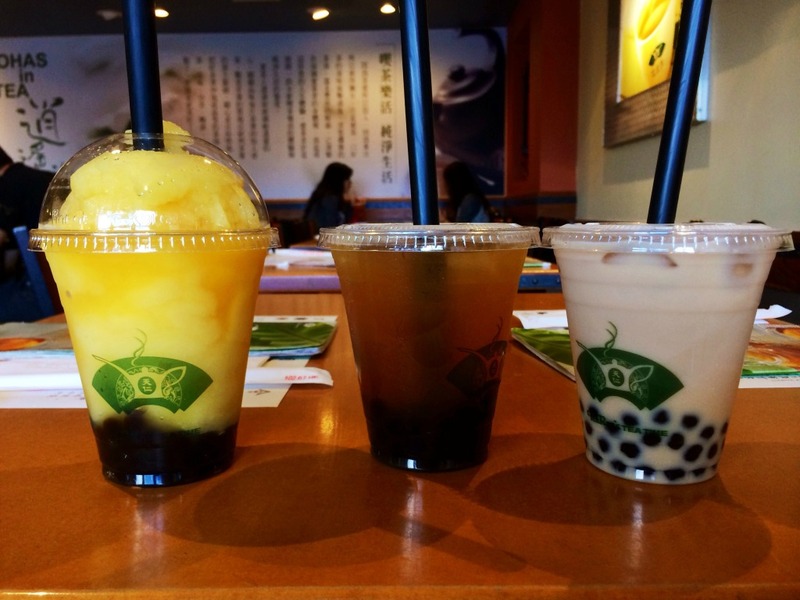 Depending on what you choose, bubble tea will be a sweet milky drink or a fruity and flavor-packed treat. 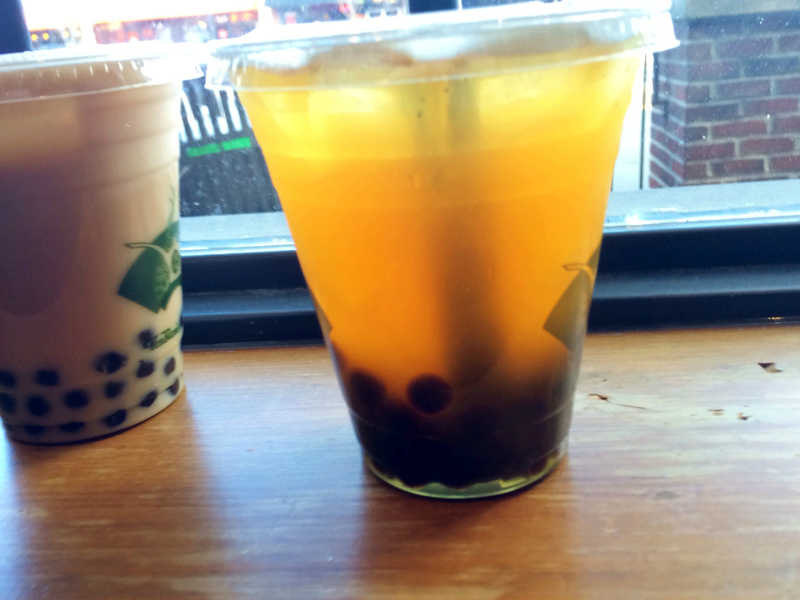 The first thing to decide when ordering bubble tea is the consistency you want to drink. If you choose to make your bubble tea hot, it will usually be served in a mug with a stirring spoon. Bubble tea can also be in the form of a smoothie. In this case, the flavors you choose will be blended into an icy treat. However, the most popular of the bubble teas is the iced version. Whether your flavor is creamy or fruity, it will be served cold over ice. After you have chosen between hot, iced and smoothie, the next step in creating the perfect bubble tea is choosing the flavor. Many bubble tea stands will let you choose the type of tea for your drink. Options usually include green, oolong or black tea. From there, decide whether you’re craving something fruity or milky. Fruity flavors range from mango, to peach, to passion fruit, depending on the restaurant. 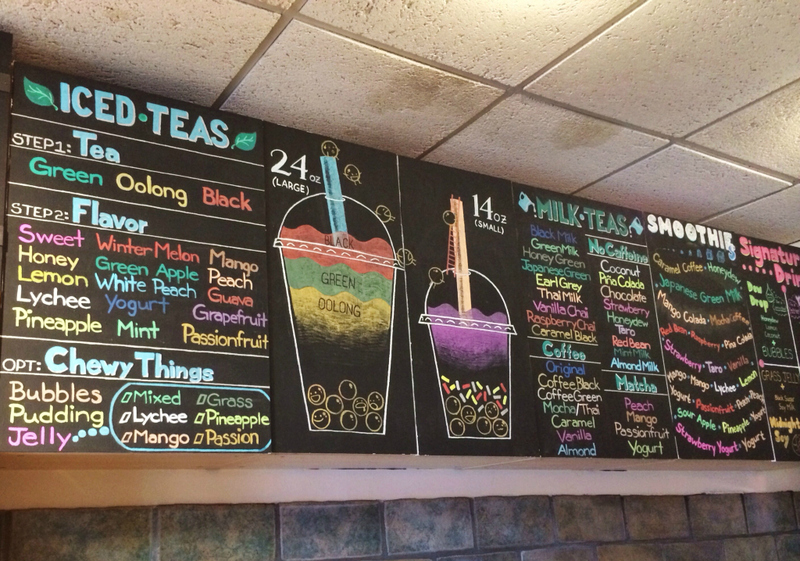 Milk teas on the other hand include flavors like coconut, almond, mocha, red bean or vanilla. Sometimes the names of flavors can be a bit deceiving, though. Ask your server about some of the options, though because some flavors, like red bean, are delicious and often overlooked. The final choice in your bubble tea journey is to decide what you want in the bottom of your cup. The most common option is the bubbles. 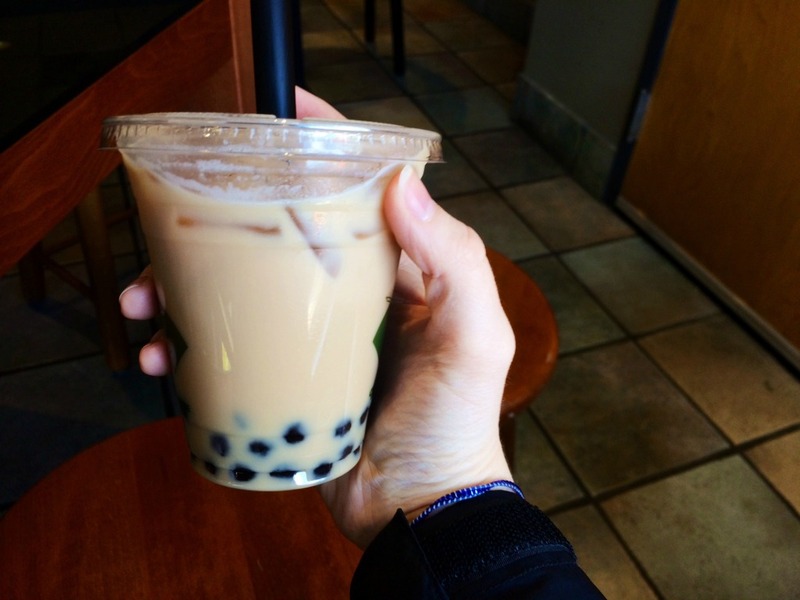 Bubbles are those chewy black tapioca balls that give bubble tea its name. But you are not just limited to bubbles. Many bubble tea restaurants have pudding and jelly available as well. These alternatives are exactly what they sound like. Pudding will add something smooth, while jelly is a softer addition. Bubble tea is the perfect drink for trying something new and testing your taste buds. Whichever options you choose, you are certainly able to step outside of your comfort zone. Find your nearest bubble tea place and try the drink with those chewy black balls.